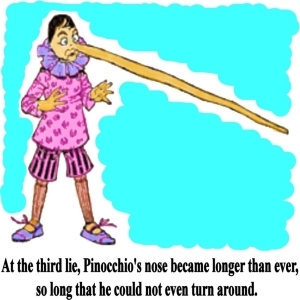 Many of us are familiar with the story of Pinocchio. He's a wooden puppet carved by an Italian named Geppetto and he dreams of becoming a real live boy. Unlike my sons, who don't make eye contact when they're untruthful, when Pinocchio tells a lie, his wooden nose grows longer. A nose like Pinocchio's would have made life impossible for Katherine, the main character in Chris Pavone's The Expats, published by Crown in March 2012. She and her husband Dexter are 30-somethings who live in Washington, D.C. and have two sons, four and five years old. Dexter is a geeky freelance security consultant specializing in cybercrime. Katherine writes position papers on international trade and development for the U.S. government. Except she doesn't. Her life for 15 years has been a lie, with one particularly painful secret. Not even her husband knows the truth about her. In fact, Katherine married Dexter because he is "her antidote," an unfailingly honest man. One day Dexter tells Katherine that a bank has offered him a security-consulting job much too lucrative to turn down. The offer is a one-year contract with the possibility of renewal. The catch? The bank is in Luxembourg and wants him now. If Dexter takes the job, Katherine will need to quit her job and the family will have only weeks in which to move. It will be difficult, but there is an upside. Katherine thinks it will be a relief to quit and spend more time with her sons. Luxembourg has a very high standard of living and finding a good school will be simple. The location will make traveling around Europe easy. And, best of all, Katherine will become, "at last, a woman who is not constantly lying to her husband about what she really does, and who she really is." Katherine begins rebooting her identity immediately by changing her name. She's now Kate Moore. She likens being an expatriate in Luxembourg to freshman year in college, full of possibilities for reinvention and meeting new friends. She'll no longer work outside the home. The reality of her new life is tough. It becomes a series of play dates and monotonous household chores. She feels isolated and lonely. Kate becomes acquainted with other expatriates, but one friendly American couple arouses her suspicions. They may not be who they claim. Even worse, Dexter is rarely home and when he is, he's distant and evasive about his job. She doesn't even know the name of his bank, let alone where it's located. Formerly, Kate was happy not to know everything about Dexter, because if she did, he'd want to know everything about her. Now Dexter's secretiveness confounds Kate because she knows Dexter is a good man. Oscar Wilde said, "The one charm of marriage is that it makes a life of deception absolutely necessary for both parties" and Kate, troubled by her secrets, dreads the truth of this. In Luxembourg, a tax haven built on privacy, she feels surrounded by hidden agendas and deception. Kate's fellow liars may have the skills and motivation to uncover her own dishonesty. She can't stand it. Kate begins a risky investigation that exposes major crimes hidden under layer after layer of lies and double dealing. 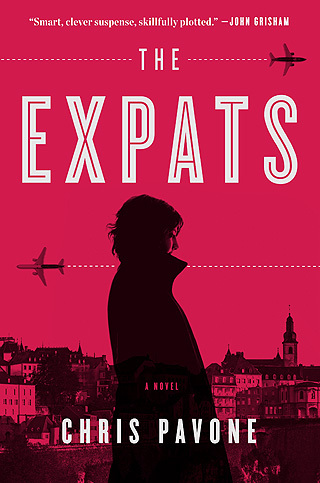 The dust jacket on The Expats says that this is Pavone's first thriller. It's hard to believe this isn't the book's first lie. Simply put, this is a dazzling debut. You'd never guess the author doesn't have many thrillers under his belt. This one delves into the personal costs of a double life and double dealings. It's a warning that nothing may be what it seems. Place it on the shelf next to books such as Manning Coles's Drink to Yesterday, John le Carré's George Smiley series and Eric Clark's Sleeping Spy. Pavone was an expatriate in Luxembourg and this creates a wealth of interesting material for his book. The transient nature of friendships among expatriates, who arrive and later simply disappear. Their struggles to do errands or shopping that would be simple in their countries of origin. Pavone, like Kate, may have put together an Ikea dresser from 300+ pieces and felt inundated by ham sandwiches. Who knows whether his life ever contained an important deception, but the haunting nature of Kate's secrets is both plausible and touching. The endless scheming is mind-boggling. The writing is elegant and rich in description without distracting from the plot. The plot is delicious in its unexpectedness and slow revelation of the truth. It's structured in two alternating threads. The book begins at 10:52 AM today in Paris. The time and location then shifts to two years earlier in Washington, D.C. The rest of the book weaves back and forth, not only between these two ultimately connecting threads, but within each thread as well, because Kate's thoughts shift the story among characters, time and place. It helps that the two threads are in different fonts but even so, the reader must pay close attention. At the beginning, I felt a little discombobulated by the shifts within a thread but this problem quickly passed. Kate, whose thoughts we hear throughout the book, is an appealing protagonist. I admired her skills and determination and empathized with her mothering and relationship with Dexter ("I love him very much, even when I hate him."). Relationships between parents and children and between strangers who were, at one time, thought to be friends or possibly "friendly enemies" are well done. I could easily read The Expats again with enjoyment. My thanks to Bonnie, one of Read Me Deadly's readers, for suggesting it. This certainly sounds like a juicy page-turner. I'm intrigued by the layers of deception within a marriage that appears, at least, to be tremendously sound. Fascinating review. Thanks! Judith, thank YOU. I've been thinking about the book as Pavone's answer to Emerson, whom he quotes in the front matter, "Truth is beautiful, without doubt; but so are lies." 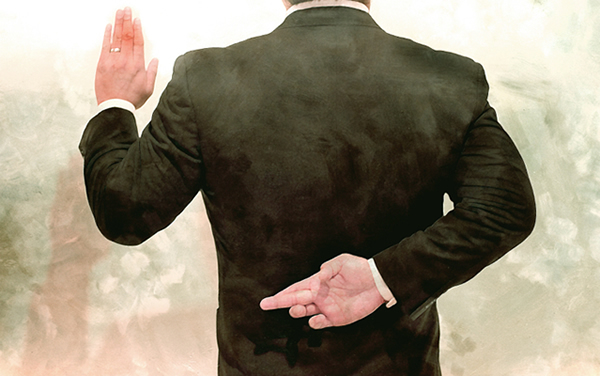 The characters' scheming is a wondrous thing and the slow peeling away of lies to the truth is a beautiful process. After posting my review, I read some other readers' comments. Even if you're paying attention, as you read you'll have unanswered questions. Most of them are answered by Pavone as you read further. You might find the writing repetitious but this is reflective of Kate's nightmarish thoughts. When you finish you may look back and wonder why certain things are included if they aren't part of the real story. To my mind, this isn't bad writing but exceedingly clever writing given the subject matter and type of thriller. Comments that Pavone doesn't understand female friendships are misplaced. There are no intimate female friendships among the expats. And besides, Kate's lies make her fearful of forming relationships of any real intimacy. A liar whose deceit rots her inner life thinks she's given a new start. Instead, she finds herself a victim of not only her own lies but those of others, including her beloved husband. How she deals with it all is fascinating.